When you're in a museum, it's pretty common knowledge not to touch the artwork, right? Well, 'TODAY' says one family clearly wasn't aware of this rule: and the photo below is proof. The picture shows two toddlers crawling all over a pricey $3 million sculpture. You can see little feet sticking out as their parents just stand and watch. 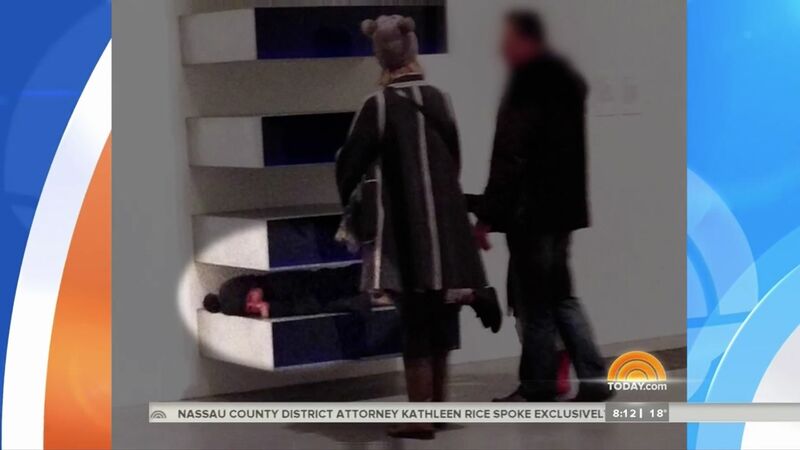 This etiquette snafu happened at the Tate Modern in London. The sculpture is called Untitled 1980 and was created by Donald Judd. The museum's website says the piece took 20 years to create. While the precocious toddlers clearly mistook the sculpture for a really awesome jungle gym, other museum goers didn't find the kids' behavior quite so playful. Gawker reports a similar piece of Judd's sold for $3M in 2006 - so while the piece might not be worth exactly $10M, we get it. It's expensive. Theodore also spoke to the London Evening Standard, saying she immediately alerted museum personnel, but by that time the family had already moved on. The museum has not commented on what happened.